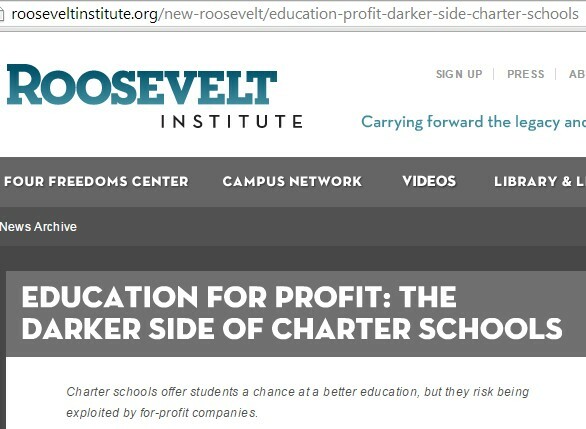 Hiding the Truth About Choice and Charter Schools. that mimics the Obama-Duncan Plan. Common Core has emerged as the newest Republican litmus test for gauging candidates’ conservative bona fides, and experts say the controversial national education [Common Core] standard will help shape elections from school boards to the White House for the foreseeable future. 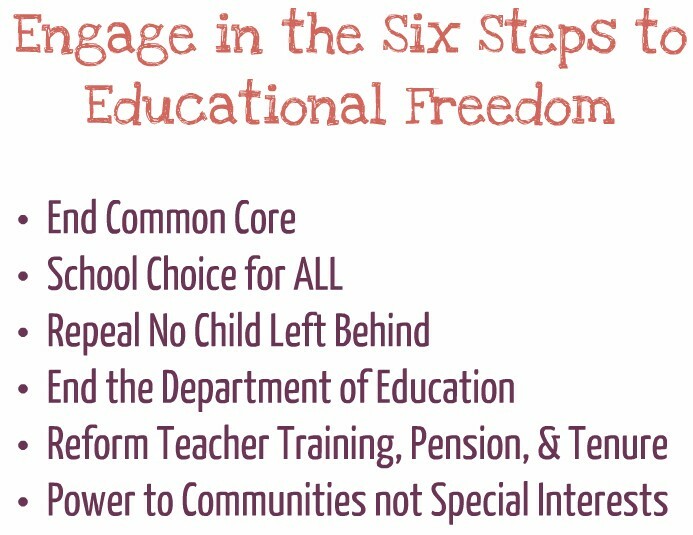 A draft action plan by the advocacy group FreedomWorks lays out the effort as a series of stepping stones: First, mobilize to strike down the Common Core. Then push to expand school choice by offering parents tax credits or vouchers to help pay tuition at private and religious schools. Next, rally the troops to abolish the U.S. Department of Education. Then it’s on to eliminating teacher tenure. The ‘Anti-Common Core Movement’ is clouding the real issue. While states are thinking they have struck down Common Core, Obama is using the ESEA Flexibility Waivers to hide his real agenda—to Continue Common Core. Many ‘conservatives’ are—wittingly or unwittingly—helping Obama’s cause. ‘‘SEC. 6561. STATES TO RETAIN RIGHTS AND AUTHORITIES THEY DO NOT EXPRESSLY WAIVE. ‘‘(a) RETENTION OF RIGHTS AND AUTHORITIES.— No officer, employee, or other authority of the Secretary shall enforce against an authority of a State, nor shall any authority of a State have any obligation to obey, any requirement imposed as a condition of receiving assistance under a grant program established under this Act, nor shall such program operate within a State, unless the legislature of that State shall have by law expressly approved that program and, in doing so, have waived the State’s rights and authorities to act inconsistently with any requirement that might be imposed by the Secretary as a condition of receiving that assistance. ‘‘(b) AMENDMENT OF TERMS OF RECEIPT OF FEDERAL FINANCIAL ASSISTANCE.—An officer, employee, or other authority of the Secretary may release assistance under a grant program established under this Act to a State only after the legislature of the State has by law expressly approved the program (as described in sub-section (a)). This approval may be accomplished by a vote to affirm a State budget that includes the use of such Federal funds and any such State budget must expressly include any requirement imposed as a condition of receiving assistance under a grant program established under this Act so that by approving the budget, the State legislature is expressly approving the grant program and, in doing so, waiving the State’s rights and authorities to act inconsistently with any requirement that might be imposed by 16 the Secretary as a condition of receiving that assistance. Information and reports Anita mentioned on the Call. 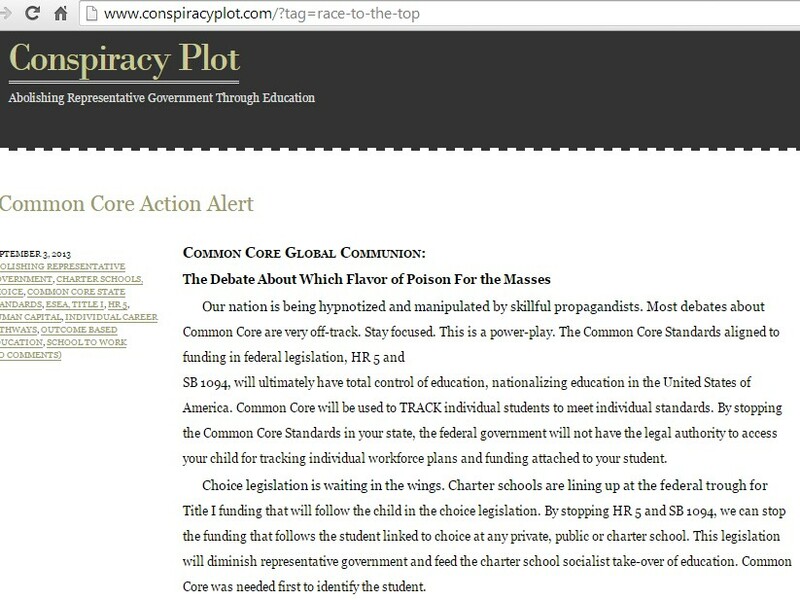 The move to “Strike Down Common Core” is a fake. It is a sophisticated machination to masquerade the real agenda embraced by ‘conservative’ groups who are working in tandem with the Obama Administration. 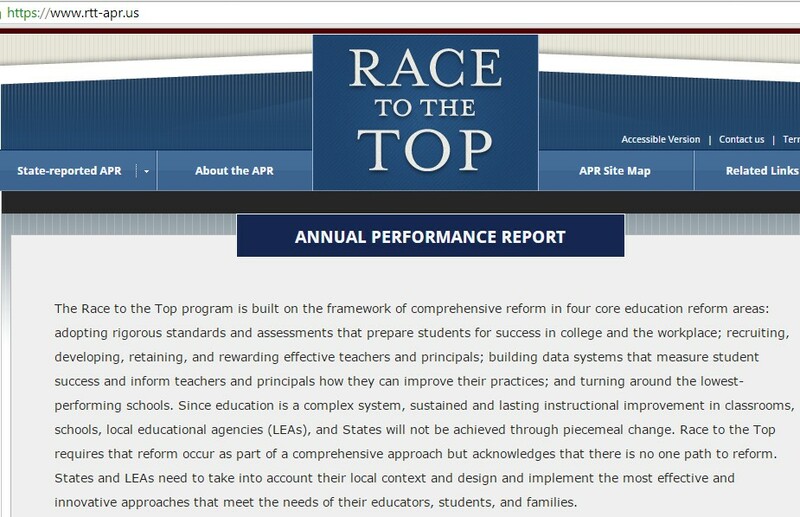 “Race to the Top” and the Common Core Copyright made up the ‘foot in the door’ for standardizing the 50-state strategy. has meaning; it means being in compliance to federal law. You know, the federal strings attached to federal money. 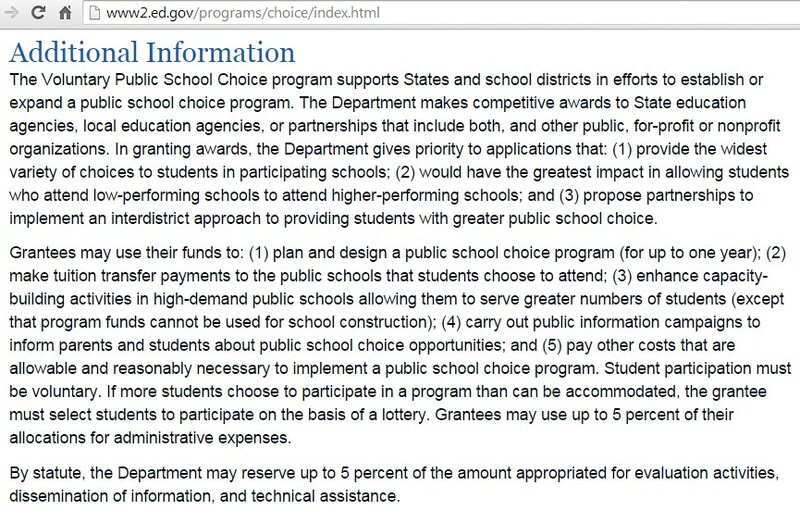 This fake “choice” is attached to federal strings. 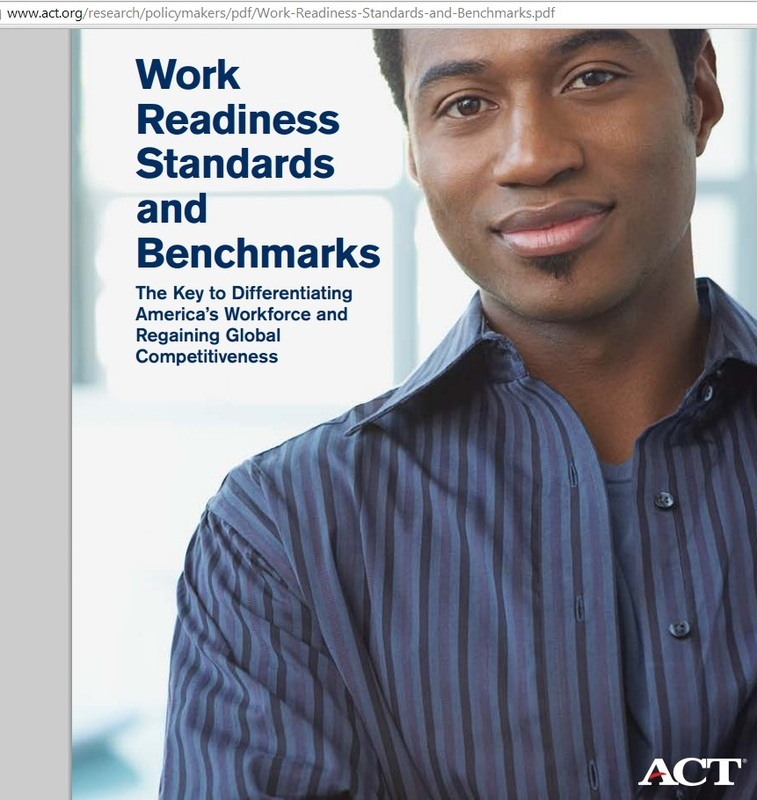 in a standards-based system will identify your child to the federal government as an individual future global worker. It doesn’t matter what name the standards use—it is within the power of the federal government to access your individual child through these individual standards. 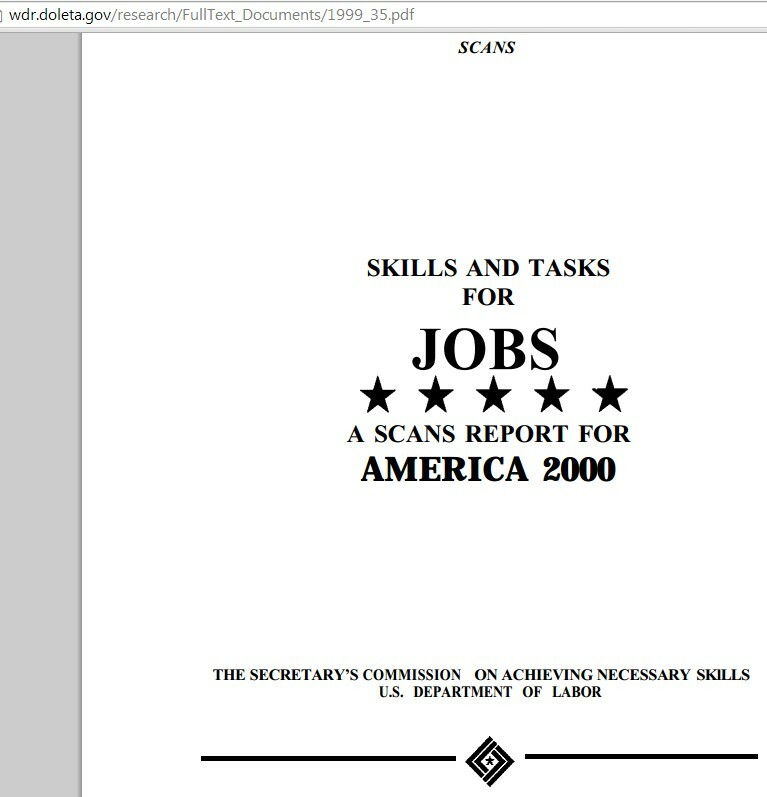 This plan was laid out by the U.S. Department of Labor in the Secretary’s Commission for Achieving Necessary Skills (SCANS) report way back in 1992.
his plan to nationalize education. 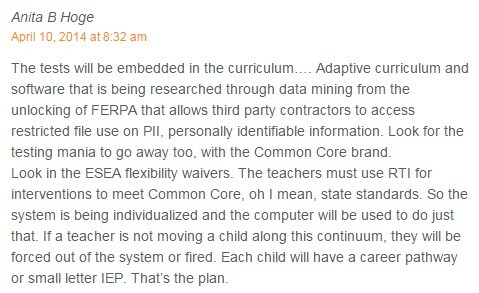 This is also hidden in the ESEA Flexibility Waiver, called Title I (explained below). Individual standards are to be met by individual students, taught by individual teachers. 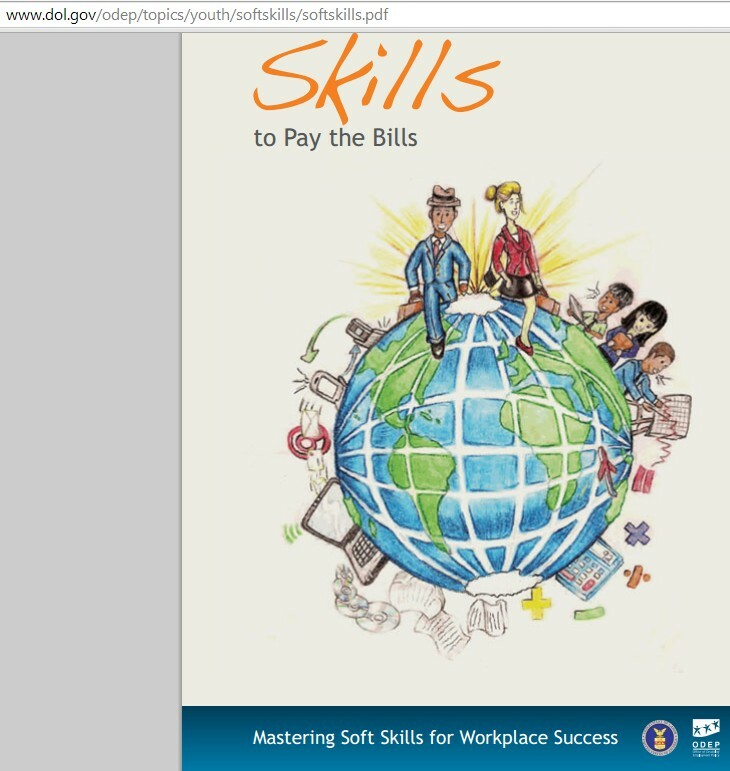 Individual students must be taught with validated—approved and certified–curriculum. All three entities are controlled through “accountability”—the federal test. 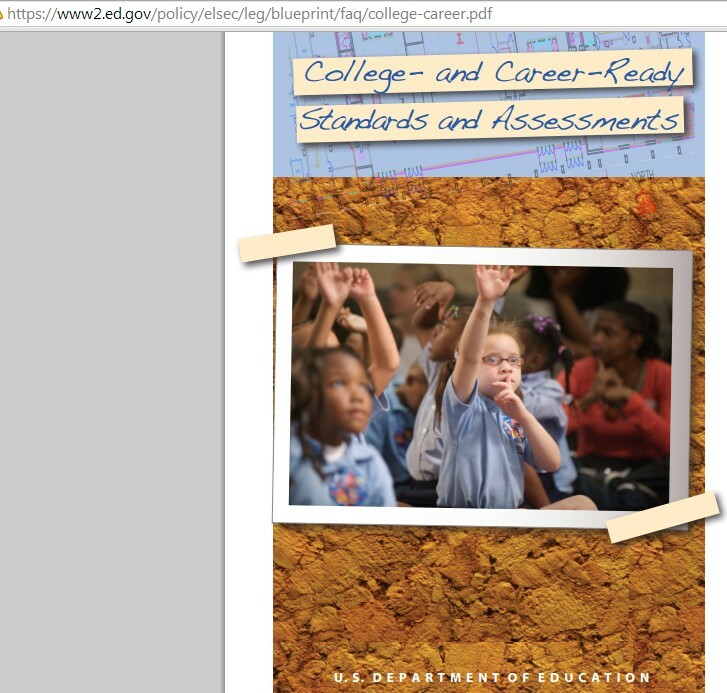 This triad–controlled standards, controlled teachers, and controlled curriculum–is the plan. This 3-faceted plan controls the outcome—your child or student. The ‘Conservatives’’ plan is to fund individual children wherever they go to school, so this “choice” money “follows the child” and extends the accountability even to private and religious schools. 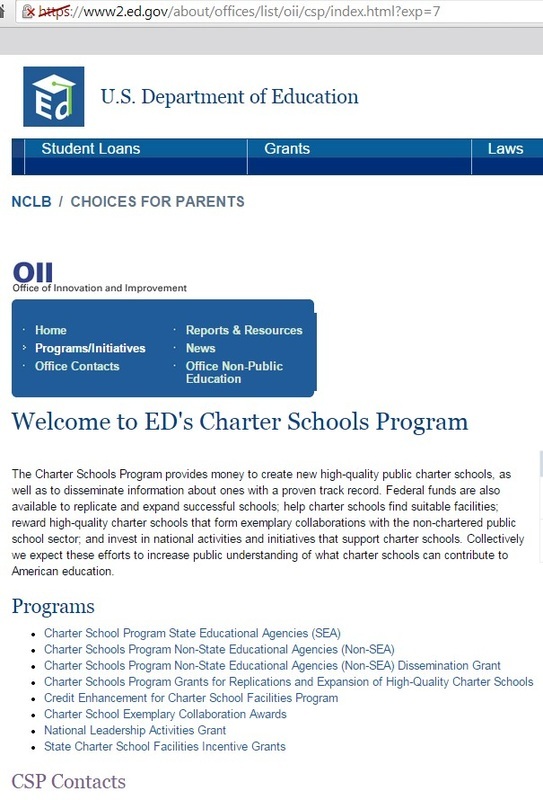 Both the Liberal and Conservative plans take advantage (profit from) the money-making schemes that result from the expansion of for-profit charter schools. Both sides of the political spectrum have plans that converge. They all want the same results—nationalizing education with federal control of ALL children, ALL teachers, ALL curriculum, and ALL schools or “knowledge-dispensing centers.” Oh, and by the way, they want your local tax base, too. The Obama Administration has given states ESEA Flexibility Waivers to the Elementary and Secondary Education Act (ESEA), which is Bush’s No Child Left Behind legislation. 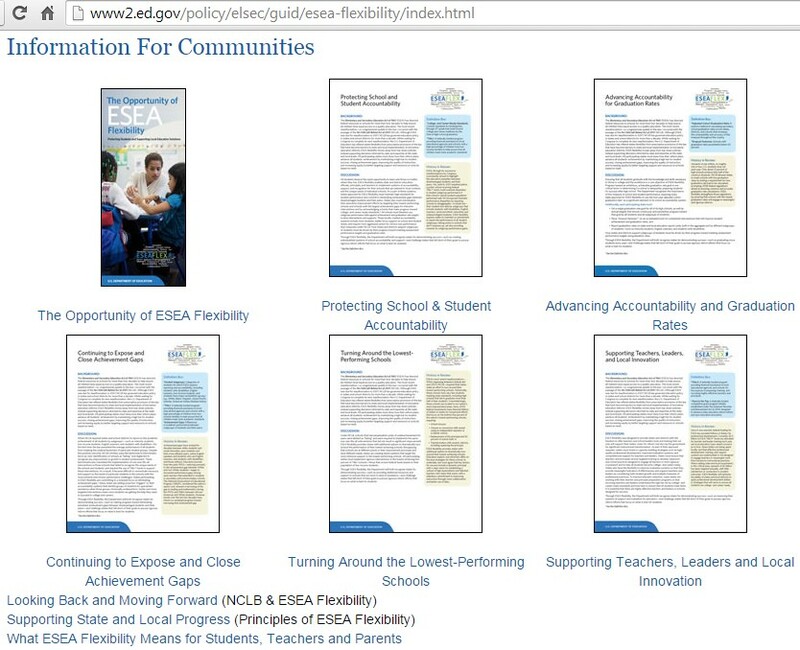 ALL ESEA Flex Waivers require College and Career Ready Standards. What we have seen so far is deceptive. 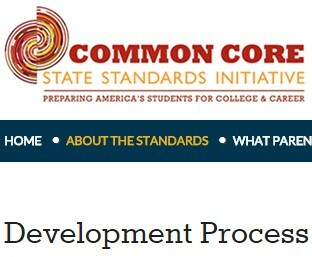 A state will withdraw from the Memorandum of Understanding (MOU), the copyright for Common Core, and then align Common Core into its own state standards when accepting the waiver. 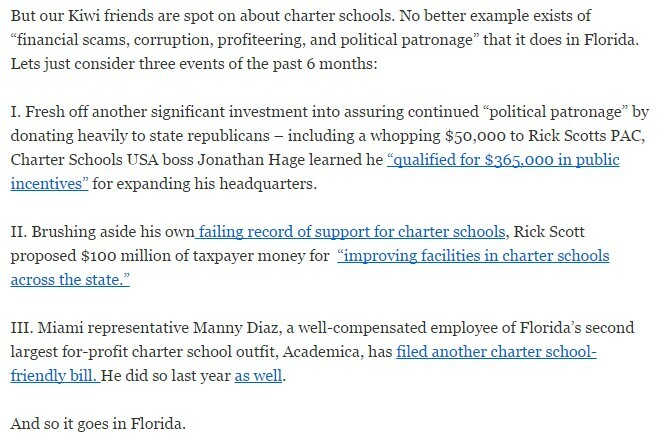 Florida: Shameless Conflicts of Interest: A growing number of lawmakers have personal ties to charter schools. 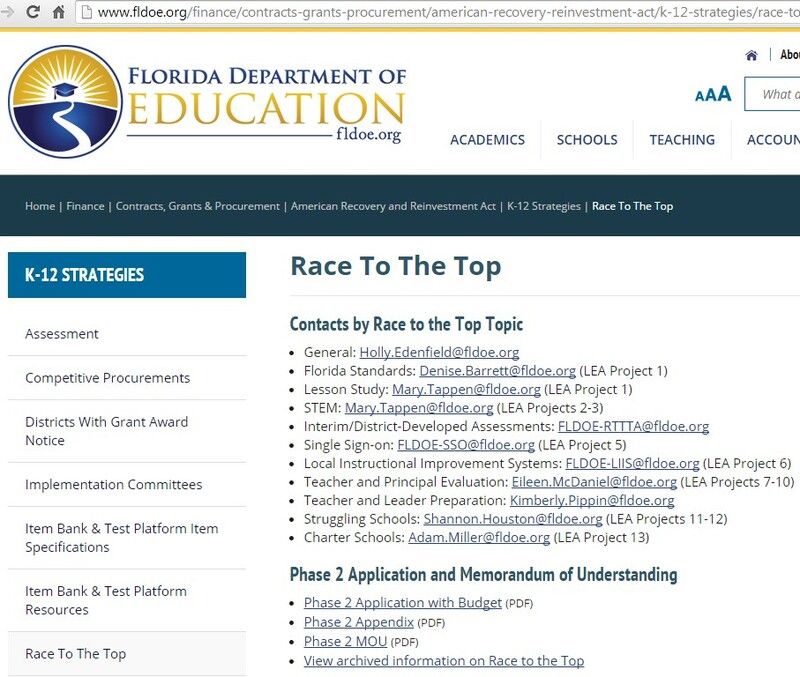 House Budget Chairman Seth McKeel is on the board of the McKeel Academy Schools in Polk County. The brother-in-law of House Education Appropriations Chairman Erik Fresen runs the state’s largest charter management firm, Academica Corp.
Sen. Anitere Flores, of Miami, is the president of an Academica-managed charter college in Doral. 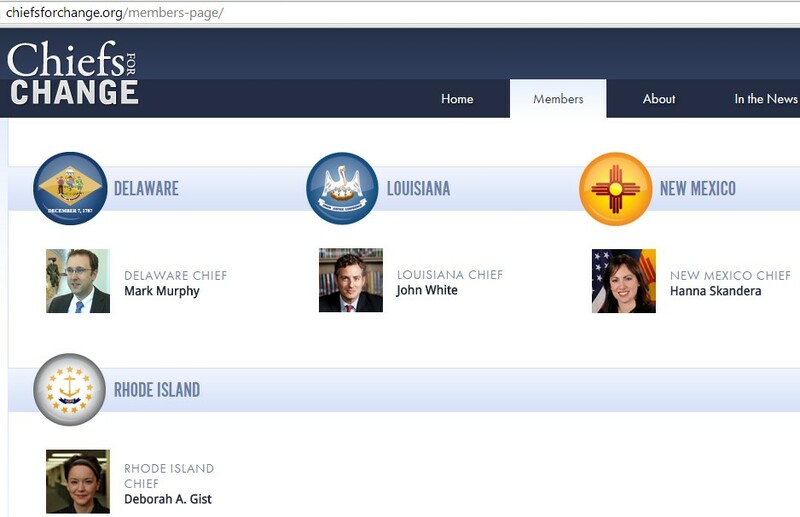 Frank Biden, brother of Vice President Joe Biden, runs a for-profit charter chain in Florida called Mavericks. Tampa Democrat Rep. Betty Reed her daughter is a charter school principal. Pasco County Republican Rep. Will Weatherford, the House speaker-designate, caught flak for submitting a new charter school application with the wife of fellow Rep. Richard Corcoran soon after the lawmakers voted for the bill that snared Fresen. The Pasco School Board rejected their proposal. Sen. John Thrasher, a one-time charter school lobbyist, has proposed charter school law changes. Rep. Seth McKeel, a director of the McKeel Academy charters in Polk County, has voted for such laws. Bill Heller worked on higher education issues in the House while a dean at USF-St. Petersburg. Florida, do you not understand the legislature is hurting our kids to line their pockets with cash? themselves," said Lynne Webb, teachers union president in Legg's home county. "I liken it to insider trading." The lawmakers have friends inside the business pushing for easier access, including former Rep. Ralph Arza, now with the Florida Consortium of Public Charter Schools; former Education Commissioner Jim Horne, now chairman of the Florida Charter School Alliance; and former Rep. Frank Atkisson, now business director for Mavericks in Education, a charter firm run by Vice President Joe Biden's brother. Gov. 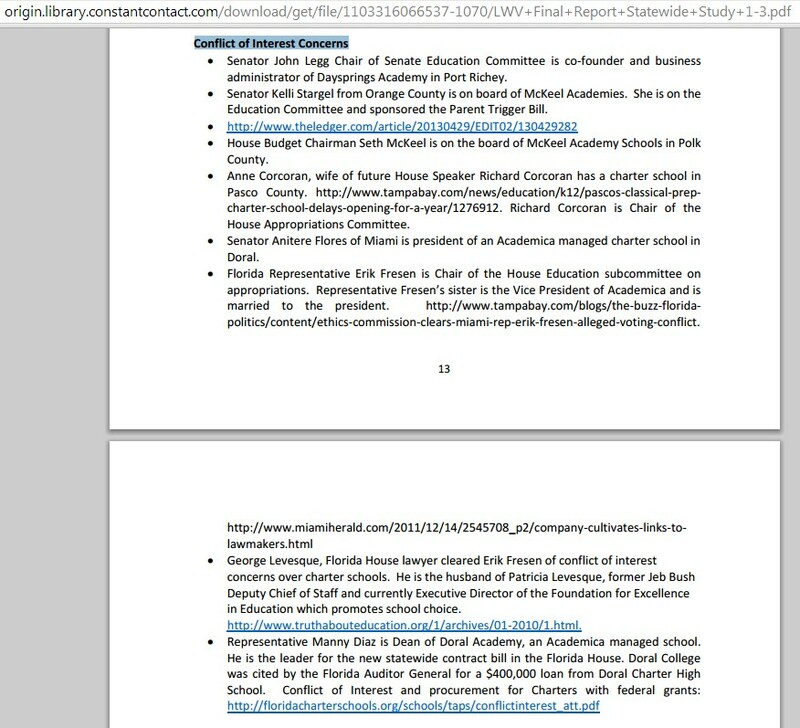 Rick Scott included more charter than traditional school executives on his education transition team. He signed off on the bills expanding charters in Florida, and also on a budget that funneled state school construction funding to charters. The DOE has shared in the enthusiasm, too, creating a $30 million fund for charter startups with the backing of a venture group supported by conservative donors such as the Walton Foundation and the Dell Foundation. Tallahassee activist Todd Byars filed an ethics complaint against Legg in 2010 accusing the representative of using public office for private gain. 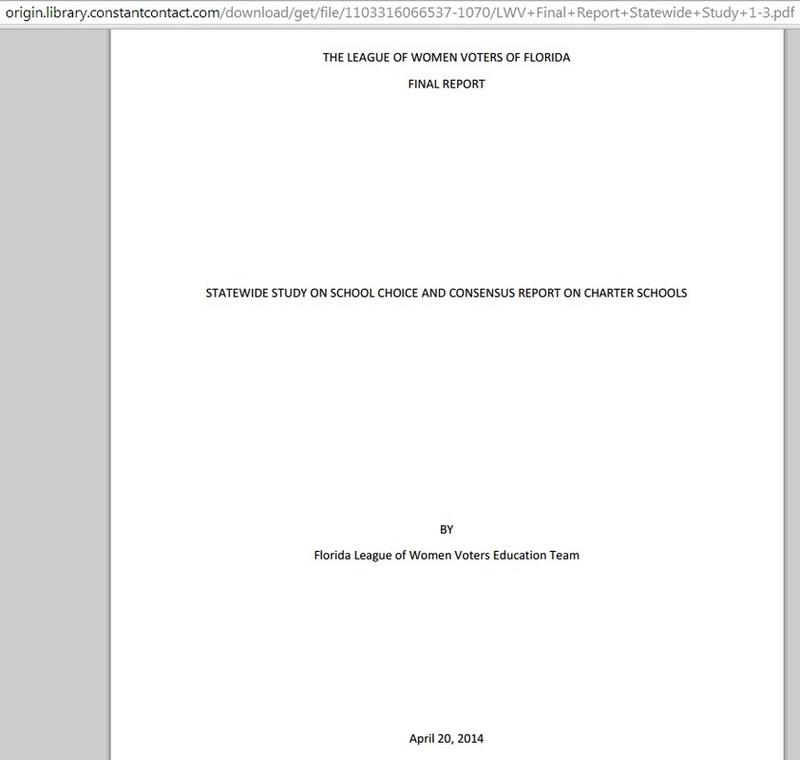 • In 2007, Legg and other Dayspring leaders suggested they should not have to pay the Pasco school district a 5 percent administrative fee (as authorized in law) because the school did not use all the available district-provided services. Told the charge would stand, Legg backed legislation to reduce the fee, saving the school millions after passage. • During much of his tenure, Legg complained that charter schools deserved more construction funding than the state provided. He pushed to make charter schools eligible for capital funds, and ultimately won with a 2011 budget that poured the majority of the state's school construction money into charters. Throughout his eight years in the Legislature, in fact, Legg has proven a vocal and dependable advocate for charter school law changes — and charter school companies have taken note. Academica, K12 and Charter Schools USA are among those that have supported Legg's campaigns with $500 contributions, even when he faced no opposition. 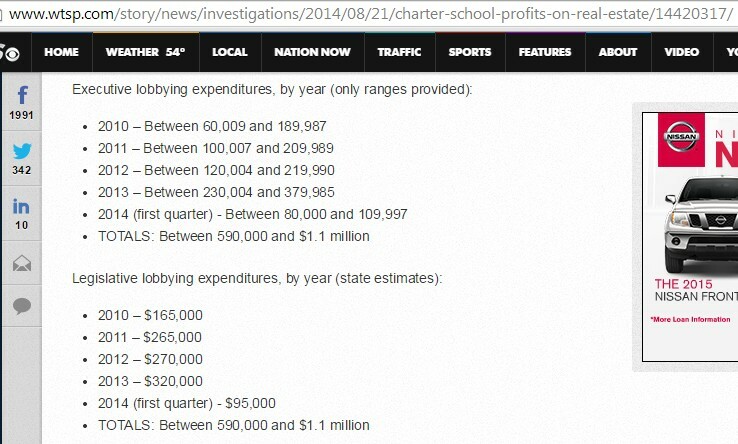 Since 2008, he has received about $10,000 from charter school firms, executives and lobbyists. Legg has raised more than $108,000 for his 2012 state Senate race. The Non-Profit Group that Released the Thousands of e-mail?... "In the Public Interest". 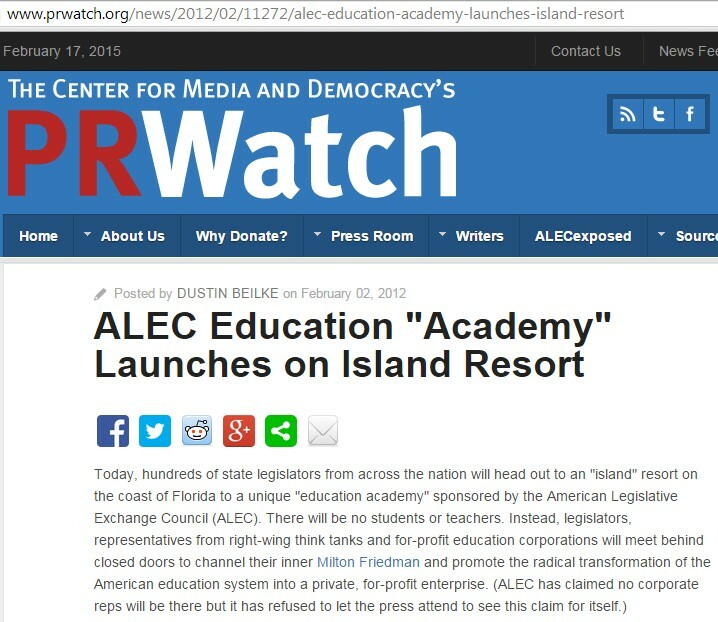 Look How Easily a Take on Charter Schools From New Zealand Models Florida: QPEC has been tracking US charter schools daily for over two years ago now, and not only are many of them an educational disgrace but they continue to contribute to the overall educational collapse of the USA in world educational rankings. Per dollar spent, US schools are the world’s worst. 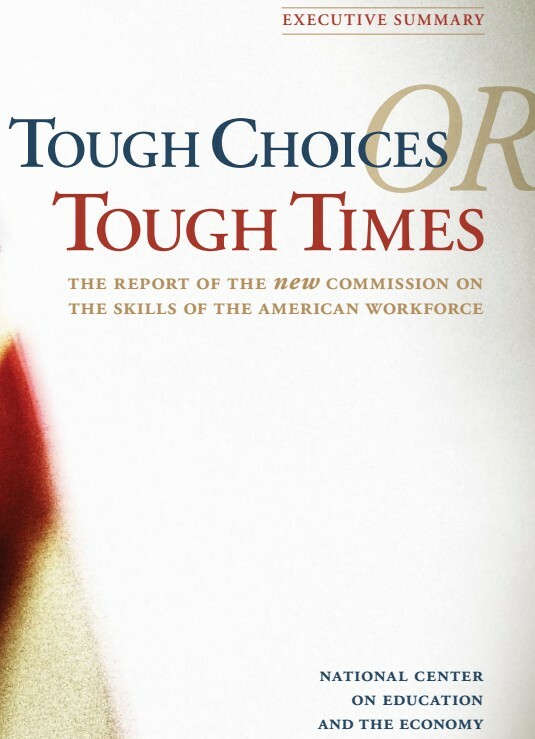 NOTE: The following pilot states—Ohio, Kentucky, Maine, West Virginia, Wisconsin, New York, New Hampshire, and Oregon—are redesigning their educational systems to correlate with federal standards called Innovation Lab Network, funded by the international Organization of Economic and Cultural Development (OECD), Lumina Foundation, and Chief State School Officers (CCSSO). 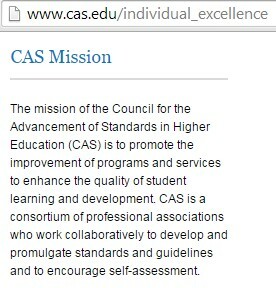 CCSSO is the group that copyrighted the Common Core Standards along with the National Governors Association. 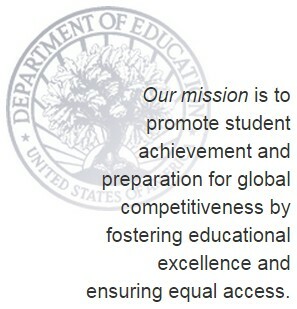 Upon the effective date of this act, the State Board of Education shall seek certification from the State Regents for Higher Education that the subject matter standards for English Language Arts and Mathematics which were in place prior to the revisions adopted by the Board in June 2010 are college-and career-ready as defined in the Federal Elementary and Secondary Education Act (ESEA) Flexibility document issued by the United States Department of Education…. Oh no! The legislature put Common Core into law through their Flex Waiver! Provides that the state board shall implement educational standards that use the common core standards as the base model for academic standards to the extent necessary to comply with federal standards to receive a Flexibility Waiver. The summative assessment must assess students in English/language arts and mathematics, including those students as required by the federal Individuals with Disabilities Education Act and by Title I of the Elementary and Secondary Education Act. For purposes of this subsection, ‘English/language arts’ includes English, reading, and writing skills as required by existing state standards. Existing state standards? You guessed it! Common Core. Do you see a pattern here? This has happened in several states where Common Core is most controversial. 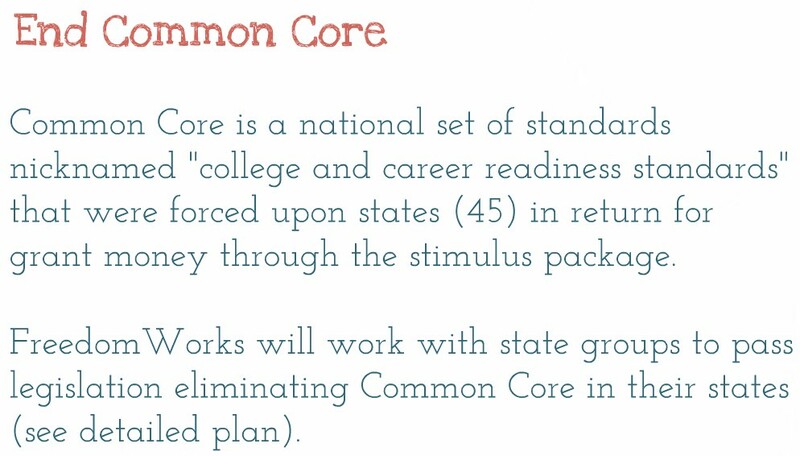 While parents believe Common Core is gone, little do they know those standards were just embedded in the ESEA Title I Flexibility Waivers signed by your state’s secretary or superintendent of education. Unfortunately, Oklahoma, Indiana, and South Carolina have taken the bait. Common Core is still there, with other new forceful accountability measures, like Value Added Models (VAM), to be sure teachers are teaching Common Core, and interventions using special education funds from the Individuals with Disabilities Education Act (IDEA) called “Response to Intervention.” RtI is used for ALL students to make sure they are covered by IDEA to meet Common Core Standards. This means that a child is considered “educationally deprived” if he/she does not meet standards. 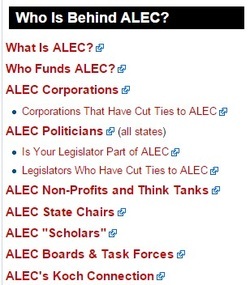 Interestingly, the ‘Conservative’ organization American Legislative Exchange Counsel, (ALEC) just released model legislation for choice and charter schools for every state in the country. They refer to students not meeting standards with the term “academically disadvantaged.” This is what is needed to move forward with federal “choice.” EVERY child must be identified for “choice” funds, no matter where they go to school. Obama has done this through the ESEA Flexibility Waiver. Now that ALL children in public school are Title I, the Republicans can take over from here. They want “choice” [those Title I funds] for EVERY student who goes to private and religious schools, too! This is a terrible bait and switch deception for those parents and citizens who think that choice means freedom of choice for private and religious education! This is not freedom, nor true choice. Where is the federal “choice” agenda now? 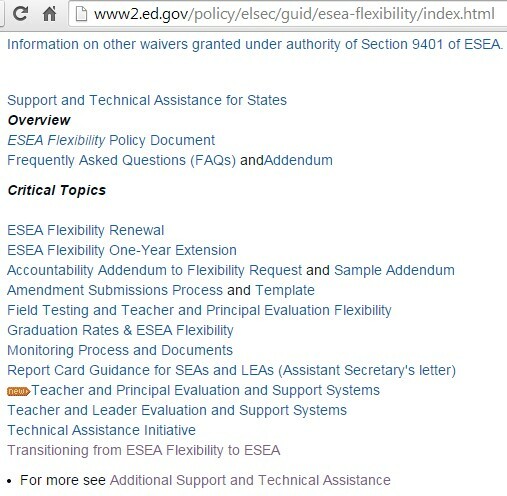 ESEA Re-authorization Is held up by Senator Reid… at the moment. 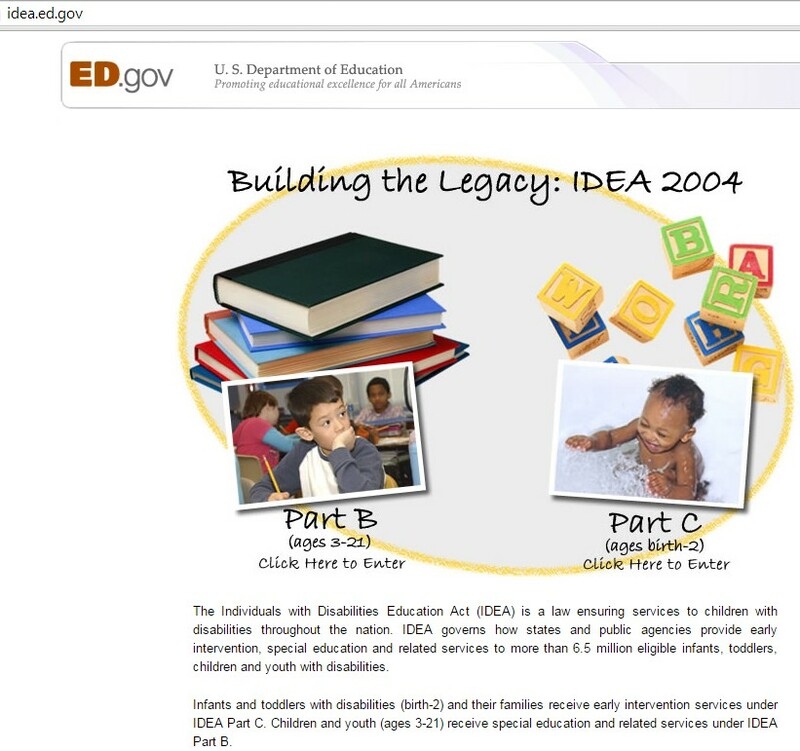 The Re-authorization of ESEA is the bill in Congress that changes how funding will now follow the child. The Republicans in the House of Representatives added “choice” amendments to the ESEA Re-authorization in HR 5 that can “follow the child” with Title I funds into any private or religious school. This passed the House in July of 2013. The Democrats, on the Senate side, voted to have SB 1094 come out of committee, but it has not been brought up for an entire Senate vote. SB 1094 wants Title I funds to follow the child to any public or charter school. But, Obama’s Flexibility Waivers are doing most of that job already without the passage of the Re-authorization of ESEA legislation. Obama supports “choice” in the Flexibility Waivers in public schools. 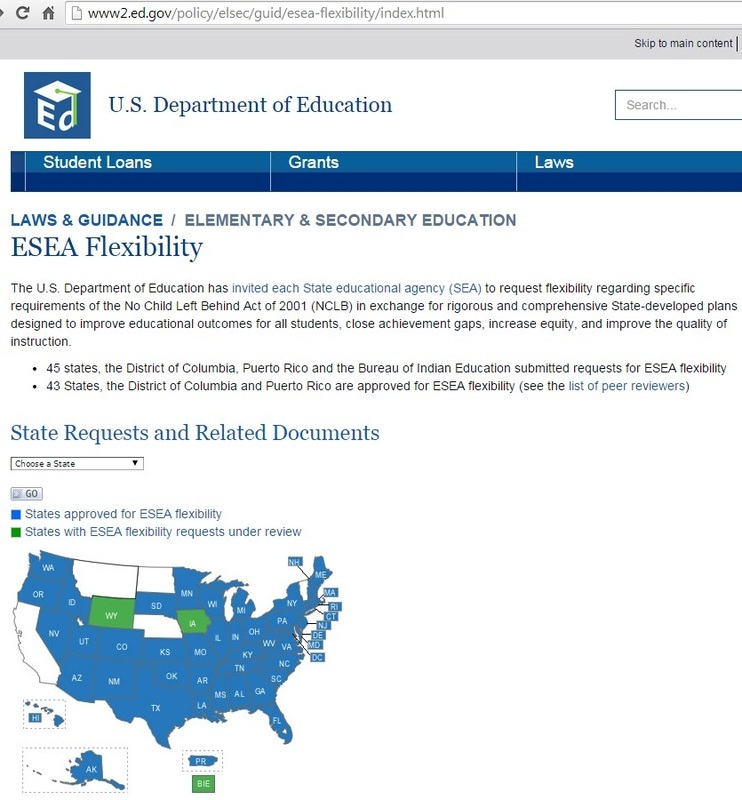 The passage of the entire ESEA package (with Republican amendments in conference committee using federal “choice” funding) will allow federal Title I funds to be attached to your child, to have the “choice” to go to any school, anywhere. 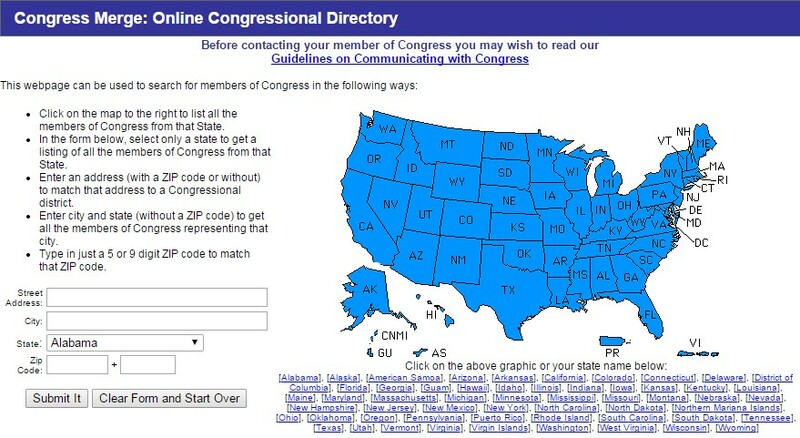 This is the legislation that Obama and the ‘Conservative’ groups want to pass for federal “choice” to become a reality. WARNING! There are strings attached! 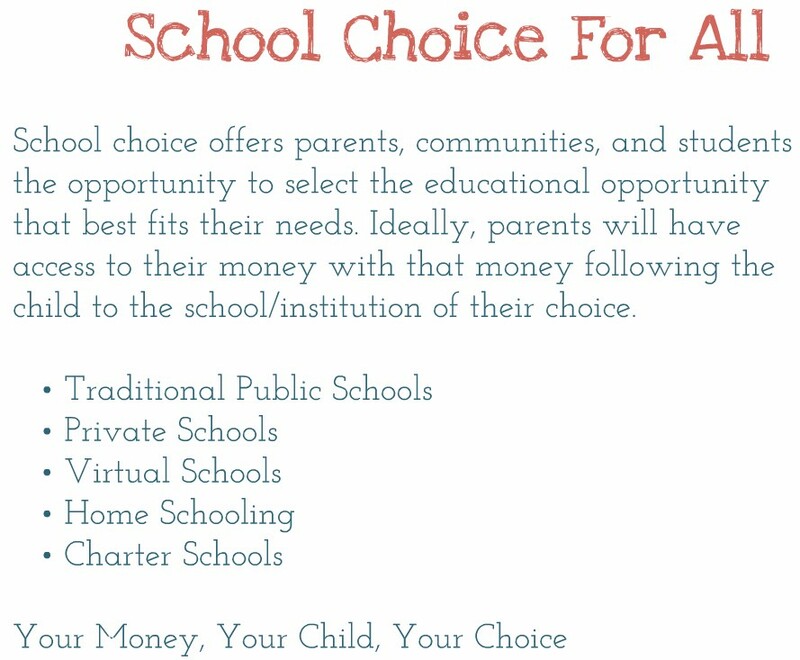 Title I Choice funds can be connected to your child to go to any charter, private or religious school you choose. 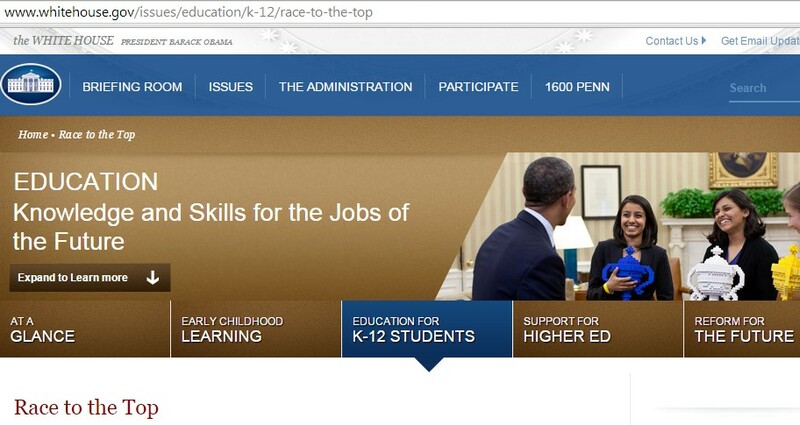 Obama wants “equity” in education. This means the same amount of money for every child with federal accountability strings attached. 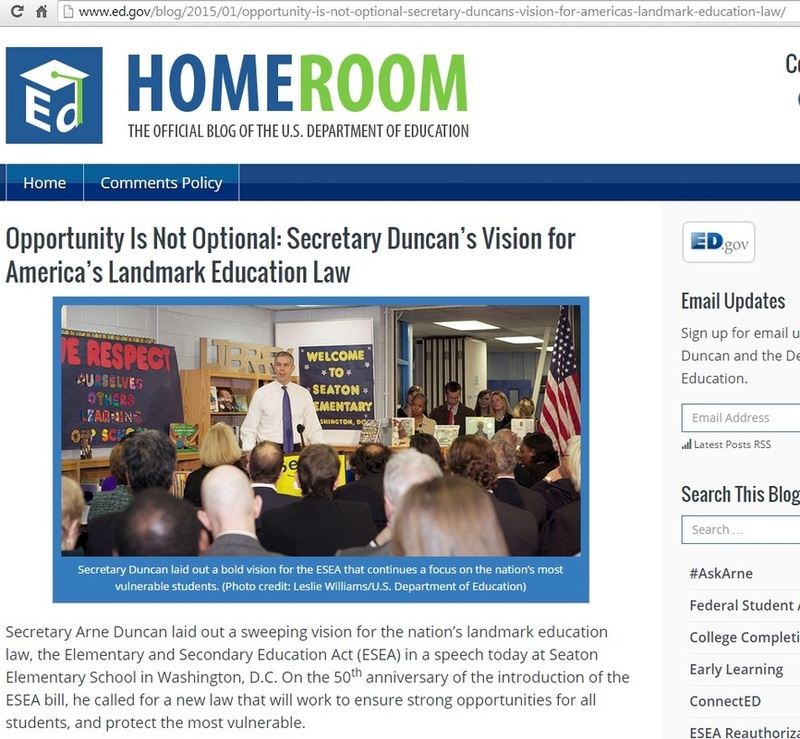 The compromise will be “choice” for everyone, potentially even home schoolers. 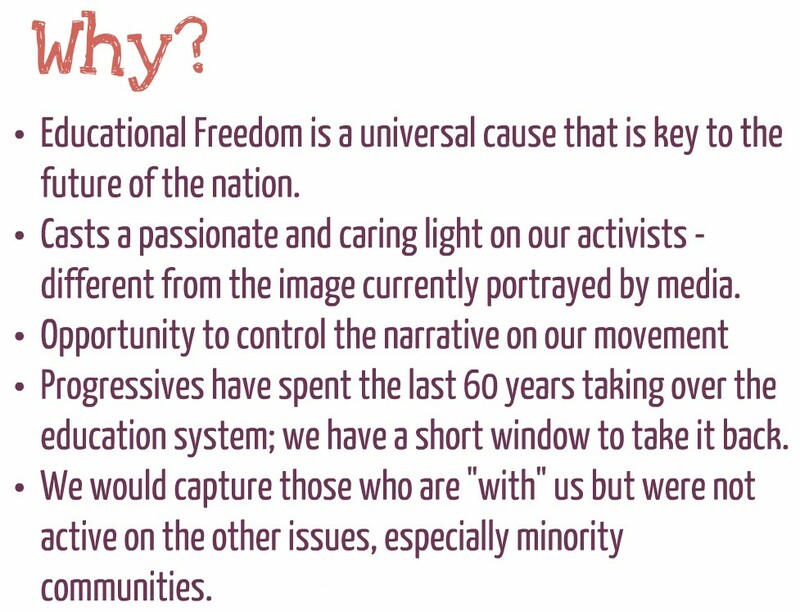 There will be no differences in schools anywhere, nationalizing education in the United States through “choice” and Common Core—all will have to “drink the Kool-Aid.” That’s what “equity in education” means. All schools will become government schools under the Re-authorization of ESEA. You get “choice.” But they control all the schools! 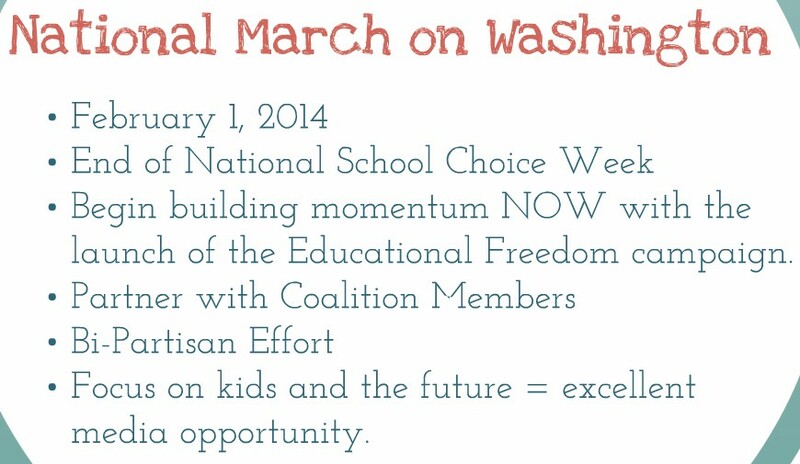 Lets say the Re-authorization of ESEA is passed with the “choice” amendments. Your child has already been identified by the national database through the state longitudinal data system. 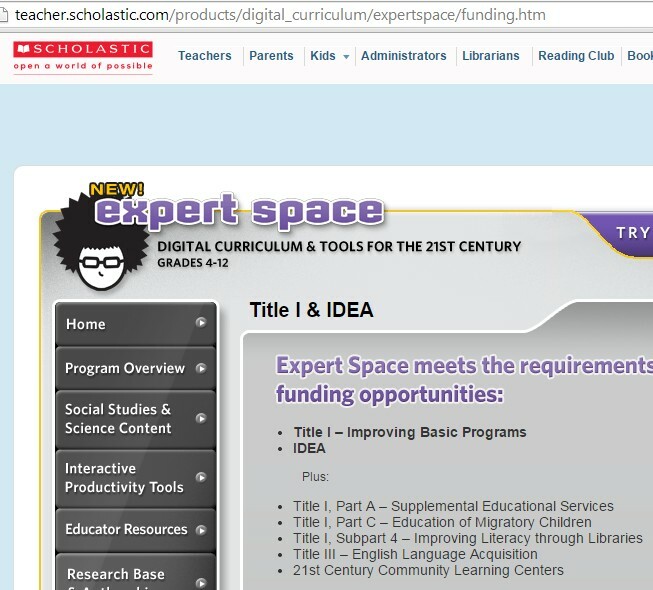 Your child has been identified for funding under Title I because of the Flex Waiver. 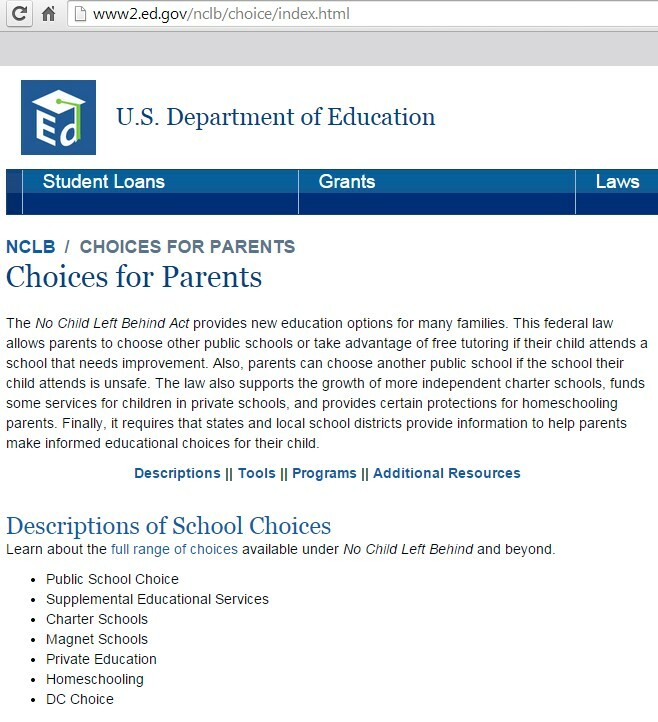 Now, with this “choice” the Title I funds will ” follow” your child to whichever school you choose. 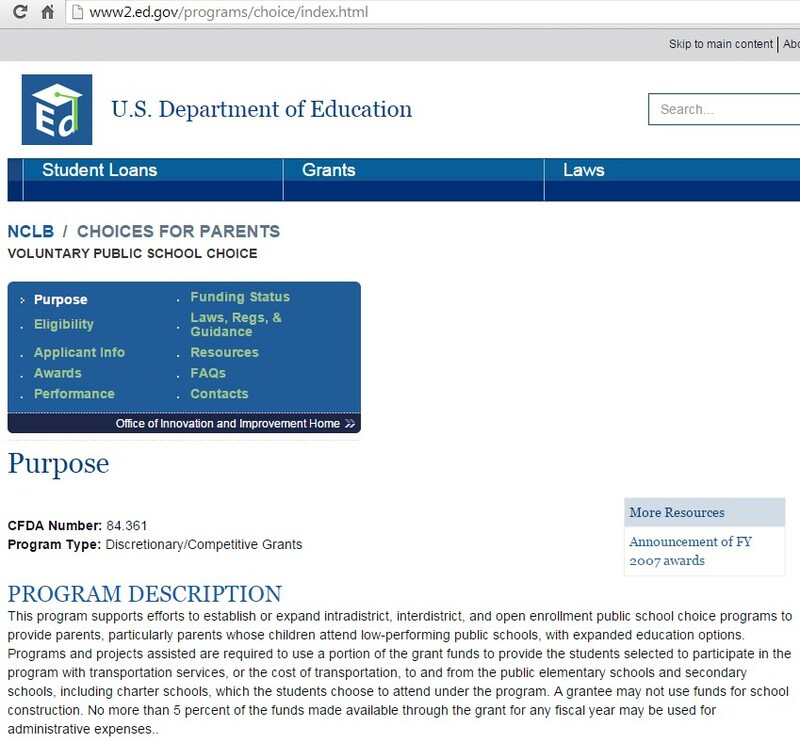 Here is an example of what can happen once your child has the “choice” funds in his/her backpack, with their name allotted to the scholarship, and you (the parent) decide to use this “choice” funding to send your child to Immaculate Conception Catholic School in Washington, Pennsylvania. 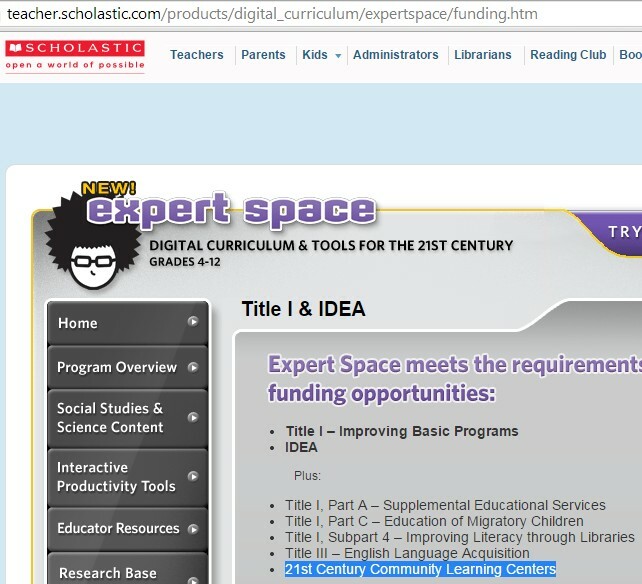 This school will be mandated by federal law to comply with ESEA, better known as Common Core. 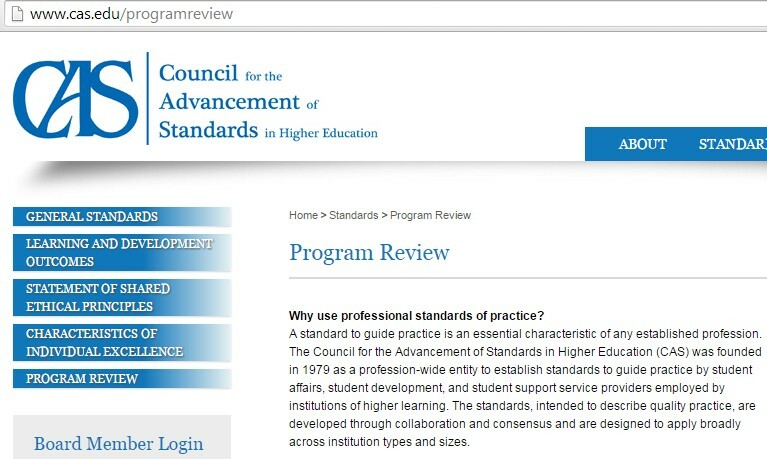 This will be disguised as academic standards or College and Career Ready Standards (CCRS). Under this sort of “choice,” there can be no discrimination for this Catholic school to turn down a student. 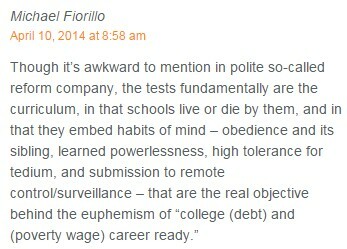 [NOTE: This changes the hope that a private school can bypass this issue by just refusing federal funding. The private school must refuse the child. This is where discrimination comes into play.] So, Immaculate Conception must enroll your child. This would be the same for any private school or religious school. Is This the End of Public Schools? Now, what happens to the old public school that your child just left? Your old public school will struggle. Your local district must pay for at least 50% of your child’s stipend or scholarship with taxes collected locally so that your child can go to another school. Your federal Title I “Choice” fund pays the other 50%. Your public school loses 100% of funding for every student who leaves to go to a “choice” school. Your public school system locally will collapse, because there will not be enough money in the budget to support your community’s school. Plus, your tax money will be following students everywhere, even across state lines. Meanwhile, everyone is fiddling around with Common Core, states are taking the caps off the number of charter schools, expanding them, closing down public schools, and sometimes transforming a public school into a charter school. 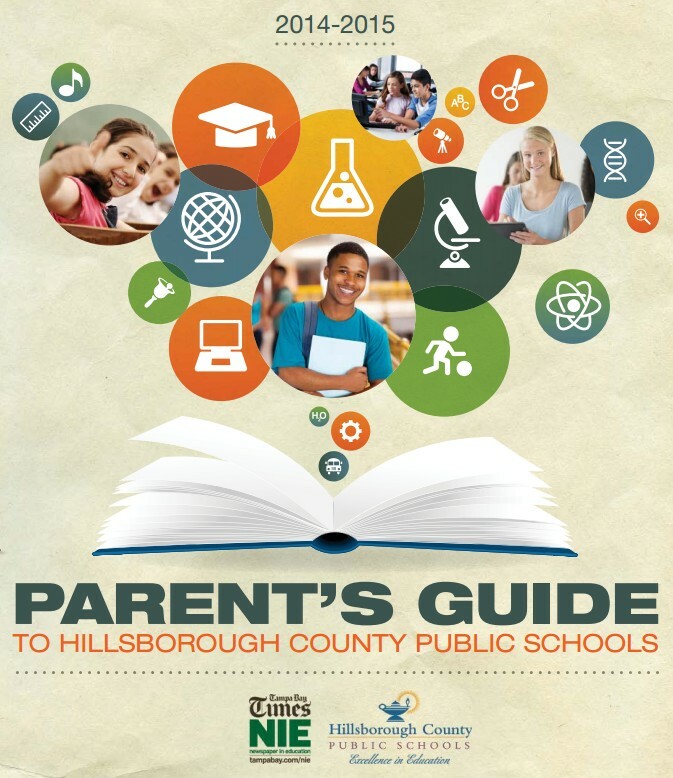 Parent trigger bills are allowing parents to set up charter schools. 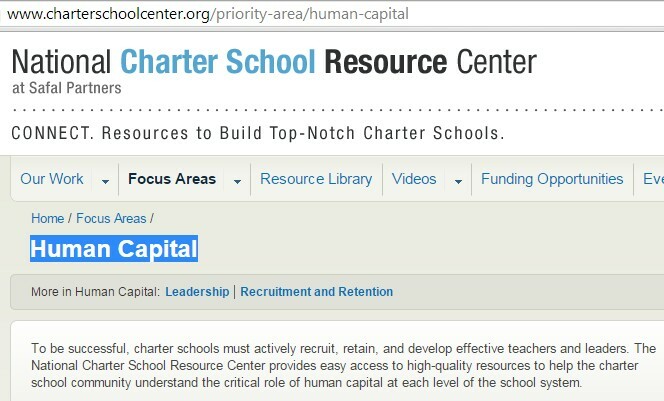 Charter schools are not private schools. 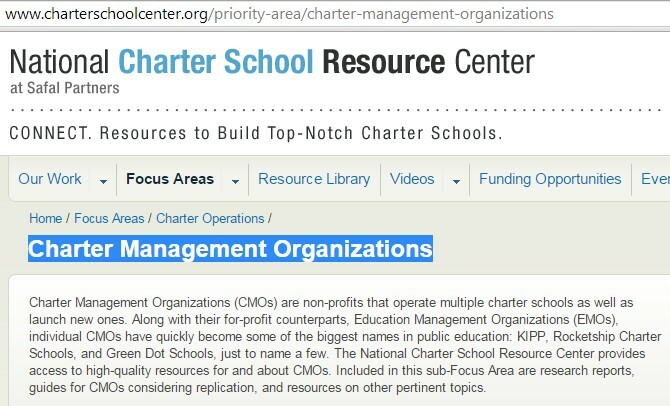 Charters are public schools. They have no elected boards, but they do have access to public funds. By supporting the Common Core agenda you have just agreed to diminish our American representative form of government by supporting “choice” and charter schools. Taxation without representation. Will taxes be centralized or regionalized toward a central base? Will the people have any power or voice to change this system? So, think again. 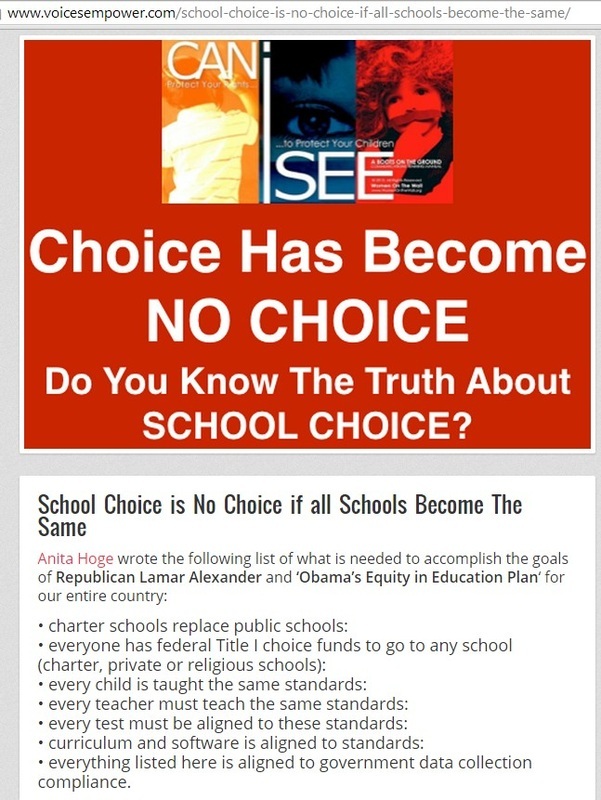 “What is your choice?” Charter schools, private schools, religious schools, and remaining public schools—all conforming to the ESEA federal law with Common Core embedded in the standards. Your state will continue to reduce caps on charter schools, and some public schools will become community “hub centers” or school-based clinics. And lest you forget, SB 1094 also changed the definition of a “Family Member.” You, the parent are demoted to a “partner” who is responsible for your child along with many “other” government officials. Please do an Internet search for the definition of partnership. You won’t like it when the government takes away your authority as a parent, your voice and your representative voting power is lost forever and your child belongs to the state, with reduced in authority to “partner.” And if your child moves to another city or state to go to a school more suited to his/her abilities and can produce more “human capital” from your child, who will “partner” with him/her there? 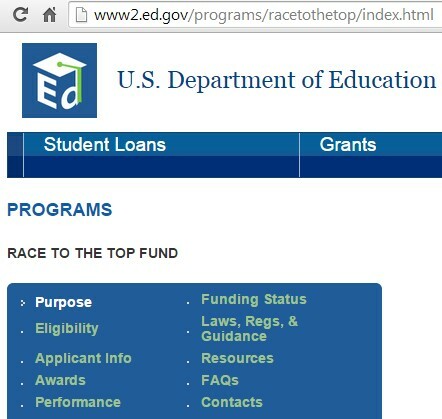 What Will Happen if the U.S. Department of Education is Abolished? 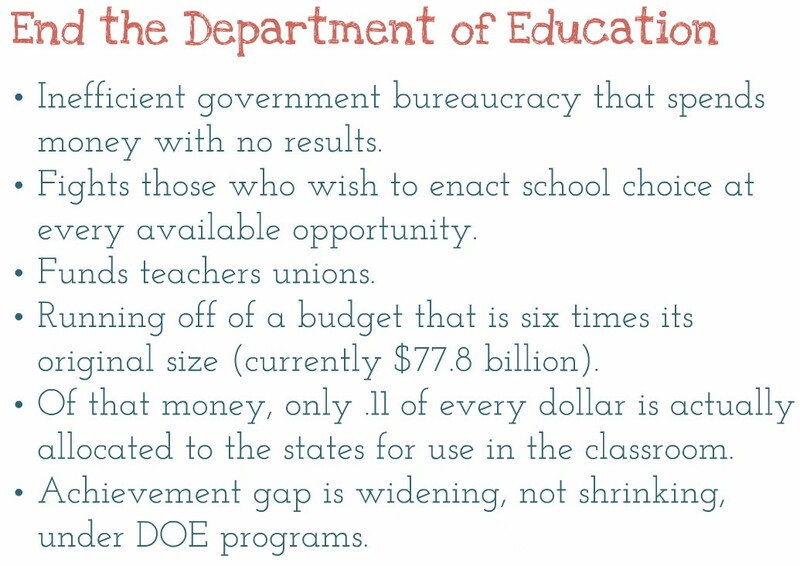 So, what about abolishing the U.S. Department of Education? Watch the switcheroo! 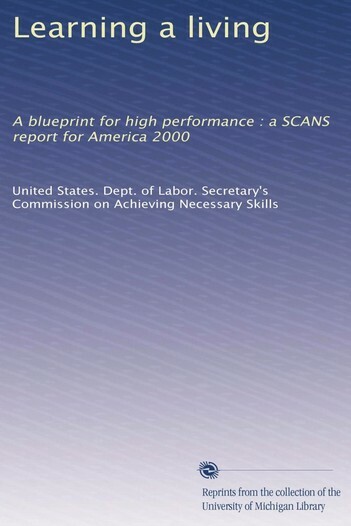 Who better to monitor human capital than the U.S. Department of Labor? Plus, another aspect of SB 1094 (Re-authorization of ESEA) is that they want a national assessment board that monitors compliance to the national test, most likely the National Assessment of Educational Progress (NAEP). Well, this “appointed” commission was the plan all along, too. 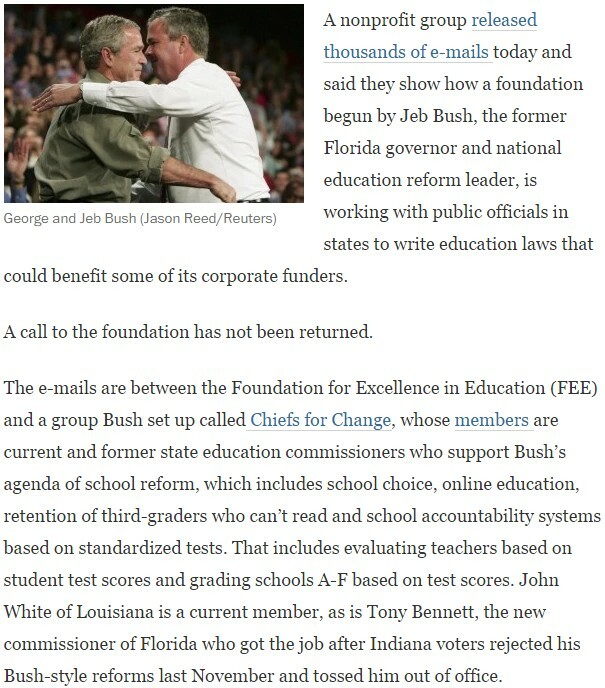 The Gordon Commission has already been set up by Obama and the Educational Testing Service (ETS),the contractor for NAEP, which calls for an unelected board to manage the national test. Want to talk about top down control? 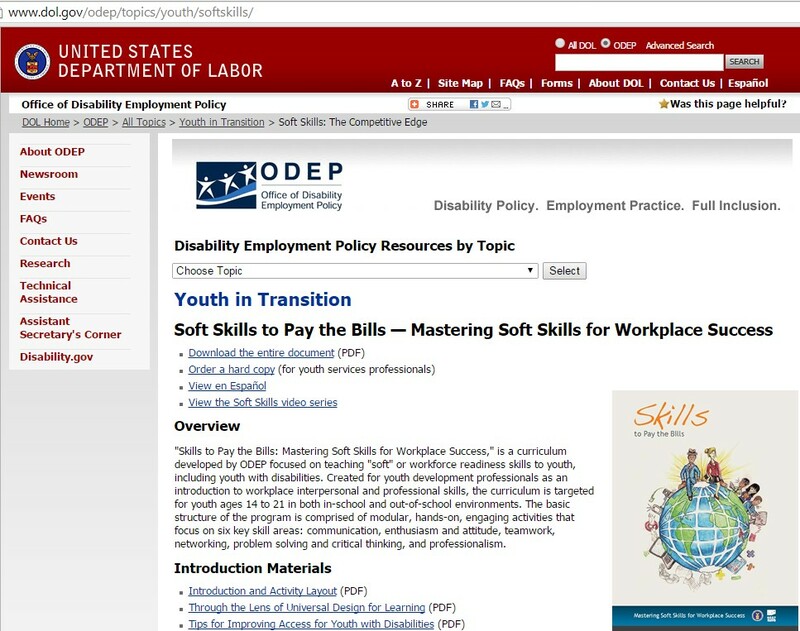 Why not just use the U.S. Department of Labor to monitor the “human capital” (your child’s economic value to the state) that is being processed by all schools in America? The national testing, along with the National Center of Education Statistics (NCES), will monitor compliance from the national database on ALL aspects of education. Who needs the U.S. Department of Education? 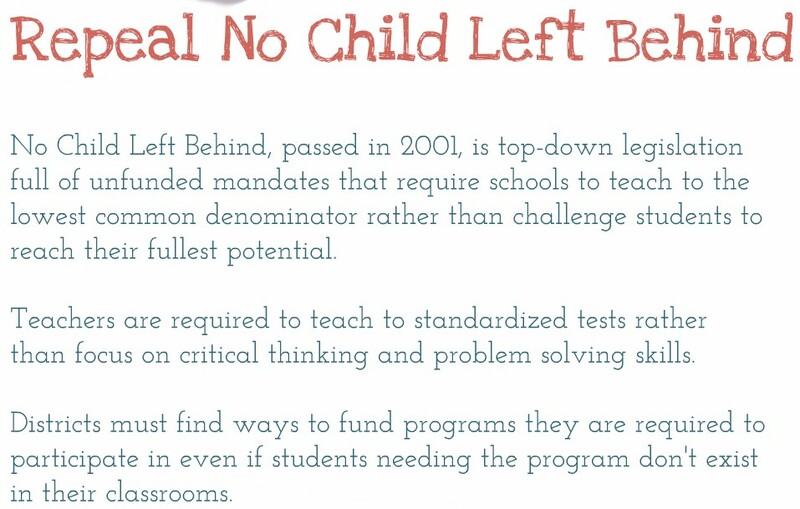 Who needs state control of funding when Title I federal funds “follow the child” and do NOT pass through state government? Who needs locally elected school boards when public schools fail? Effectively, this charter school system destroys representative government. But, wait a minute! 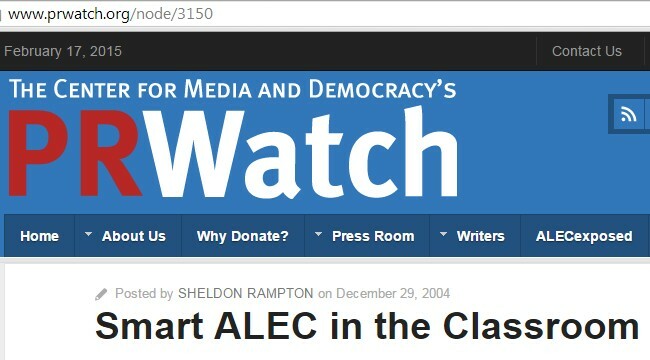 Wasn’t that the so-called ‘conservative’ FreedomWorks agenda? So, now you know the rest of the story. Who is on whose side? 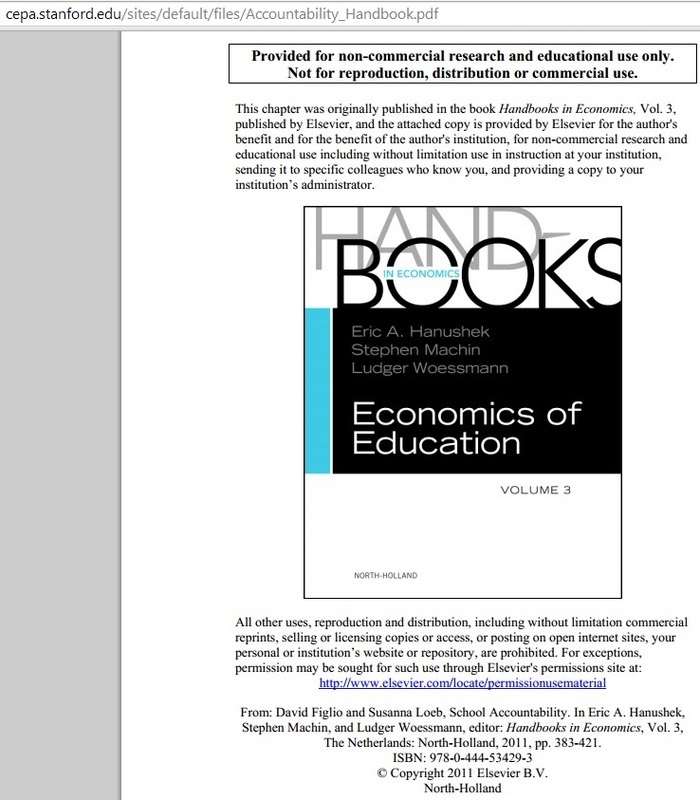 Teachers will be manipulated to leave the education system through the Value-Added Measurement Model (VAMM) incorporated into the ESEA Fexibility Waiver. Teachers will be evaluated by how their students score on the national test. Teachers MUST teach to the test, and must be evaluated with the Charlotte Danielson Evaluation, spelled out in the Flex Waivers. 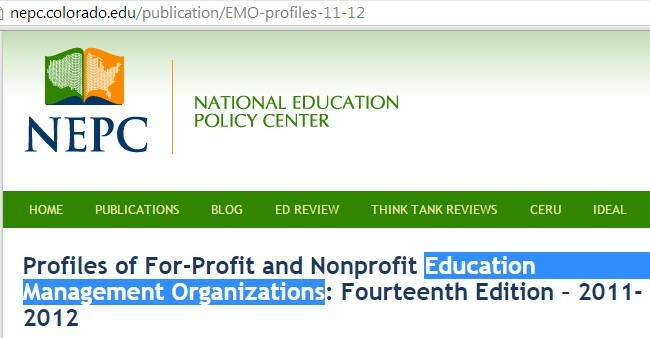 [NOTE: Charlotte Danielson was an official with the Northwest Regional Educational Laboratory during development of the original Course Goals Collection, the forerunner of Outcome-Based Education and the Common Core.] All curriculum used will be developed with total alignment to the standards aligned system (SAS), which matches curriculum, teaching, and testing to the standards. Teachers must perform and teach the standards, period. Removing teacher tenure easily allows traditional teachers who know what is best for children, to be replaced if they do not conform to the Common Core agenda. 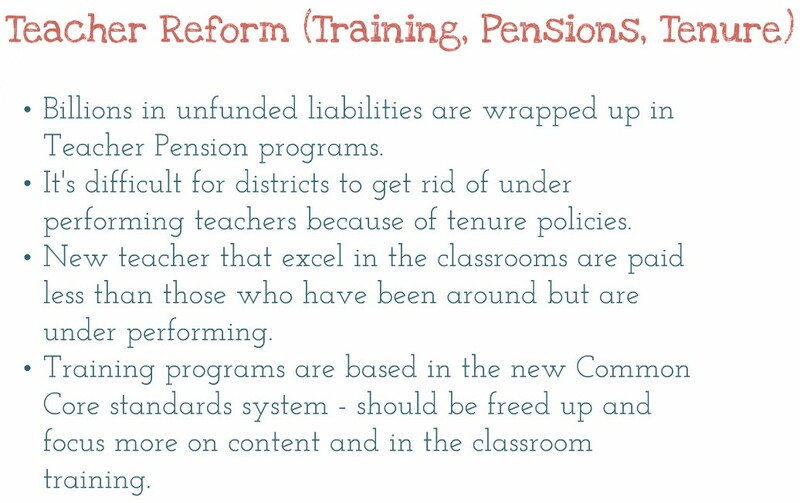 The Flexibility Waiver is very clear about replacing the principals and the teachers not in compliance. Young, inexperienced Teach For America members are standing on the sidelines ready to jump at the chance to replace traditional teachers. Eager and committed, they will comply with the plan. All barriers are now removed for federal takeover. When the controversy exploded in the 1990’s over Outcome Based Education (OBE), the education bureaucrats did not expect the explosion of fury from parents against OBE and the subjective learning outcomes that were trying to be placed in every state at that time. OBE failed. The bureaucrats have gotten smarter, but very little else has changed. 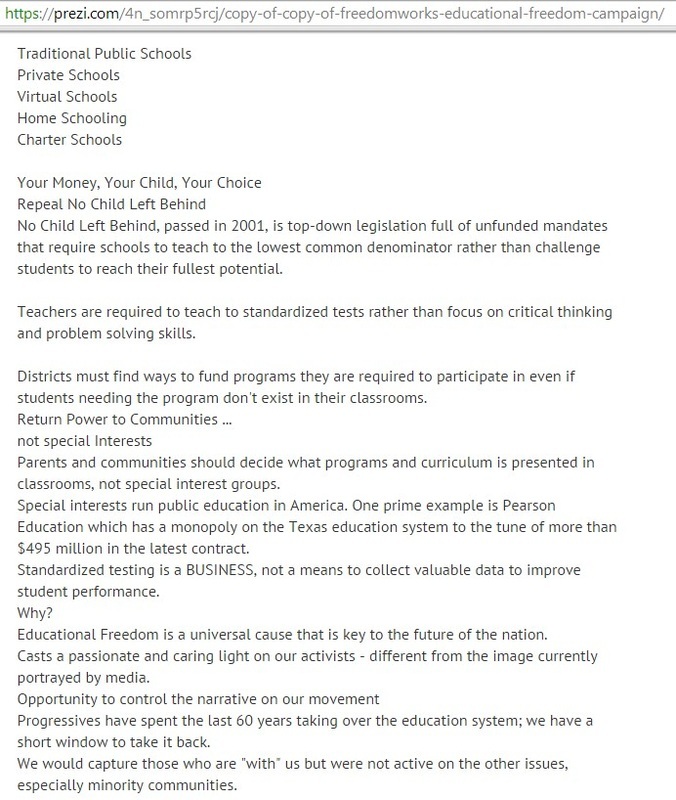 (common core) or Not to OBE (common core)” or “to implement or not implement efforts to improve student learning” cloud the overdue national debate about whether public education should exist or be replaced with publicly funded private education. 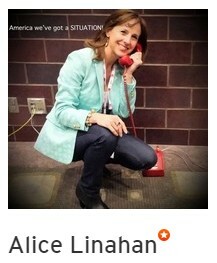 Sorry, FreedomWorks. Freedom doesn’t work this way.